Ruben de Haas is an up-and-comer who just showed his poise and class against the Maori All Blacks. 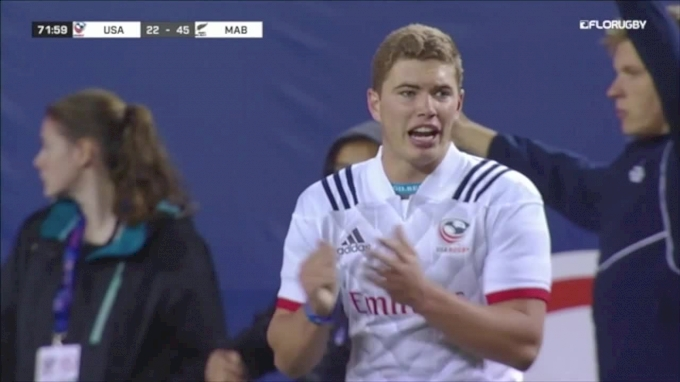 Already a captain with the HS All Americans (he played his HS rugby in Arkansas) and later the USA U20s, de Haas has been playing with the Toyota Cheetahs organization and is highly-regarded there. And while de Haas has already been capped, and even scored a try for the Eagles this summer, he's still considered an up-and-comer. An up-and-comer who just arrived at a crucial time. With Shaun Davies having to leave the Maori All Blacks game after a dangerous tip tackle, and with Nate Augspurger already out injured, de Haas was the only option at scrumhalf, and he made an immediate impact.